Everyone has a part of their body they don't love and these trouble areas can cause challenges when getting dressed. Some people have bowed legs, which result when the femur and tibia bones curve outward or extend up to the thighs, creating space between the knees. Thankfully, there are style tricks to help draw attention to other areas of your body. Choosing pants with the right shape is a great tactic to hide your lower body. Avoid capris and Bermuda shorts because the length of these bottoms stop at the points you're trying to distract from. Stretch jeans or vertical-stripe tights are also styles to avoid. Instead, opt for solid pants that are long and have a looser, wide fit. Avoid straight skirts that hit at the knee; they immediately draw the eye to the area you're trying to disguise. Miniskirts and tight-fitted skirts also draw unwelcome attention to the area. The better fashion option is a mid-calf-length skirt or a long full, flowing skirt. Select the right footwear to help minimize the appearance of bowed legs. 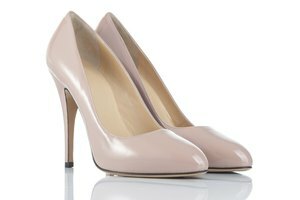 High heels and stilettos draw attention to the outward curve of the leg, so avoid a sharply pointed high heel. Flat shoes are a bad fashion choice for the same reason, but mid-heels with a round toe or open toe are great options. Monochromatic colors create the illusion of longer lines, which can help minimize the appearance of bowed legs. Consider matching your shoe color to your pants and when wearing a skirt, pick hosiery or tights in the same shade. Be comfortable with your choices. 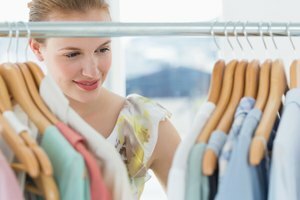 If you feel good about your clothes, you'll project self-confidence and people will notice. Genius Beauty Magazine for Smart and Beautiful Women: What Clothes to Wear With Bent Legs?